12x24x1 30-Flo Disposable Air Filters - Polyester Panel Filters | Air Filters, Inc. The Air Filters, Inc.™ disposable throw-away filter has set the standard for quality and durability. This rigidly constructed air filter maintains its integrity where others fall short. 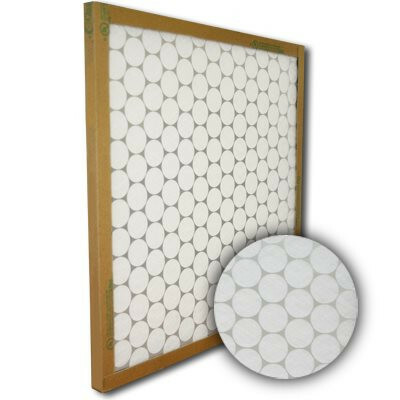 Always the highest quality, disposable panel filters have metal grids on both the air entry and the air leaving sides. 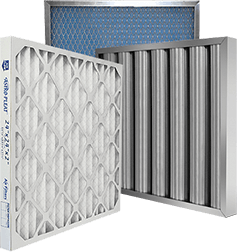 The Air Filters, Inc.™ disposable throw-away filter can be used as a direct replacement for filters supplied in original equipment. Standard sizes are available in 1" and 2" depths to accommodate most filter tracks. Any application can be accommodated with our special sizes, available in 1" and 2" depths. The Air Filters, Inc.™ disposable throw-away filter uses a progressively dense fiberglass or 100% non-woven polyester media to maximize its high dust holding capacity. The media is en- capsulated between two metal grids to maintain integrity under adverse operating conditions. The metal grids are thermally bonded to the internal sides of a heavy-duty, one piece craft-board frame. The closed corner construction prevents dust laden air from bypassing the media through open corners. The filter frame is clearly marked with size, U.L. classification and air flow direction.